HJ: Creativity is the essence of being human, and therefore to increase your creativity is to live more fully. Whether or not you believe it or realize it (although I would imagine as a Healers Journal reader you absolutely do realize and believe it), you create your life day in and day out. To become more creative is to become more masterful at living, at expressing the essence of who you are. And it is with great pleasure that we present this little gem of an article outlining seven wonderful practices to help you do just that. 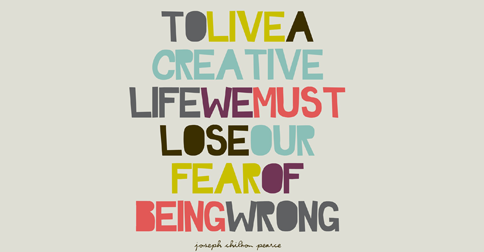 Creativity as both a lifestyle and a profession is a daring adventure, and a trulyrewarding one. To thoroughly love what you do while also being fulfilled financially and emotionally is an aspiration and a challenge. That aspiration can become a reality, but it takes lots of hard work, dedication, and some luck that eventually comes from persistently doing the right things. Which is why you must remind yourself on a daily basis of what’s actually meaningful to you, and fully commit to the actions that yield progress in that area of your life. For nearly a decade, I have been publishing new articles every week onmarcandangel.com. Sometimes the ideas and words come easier than others, and there have been plenty of times when I’ve felt like my work was sub-par.